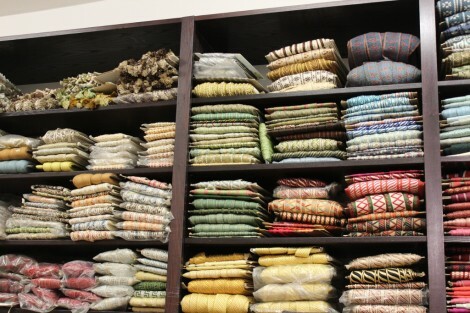 The embellishments for edges, borders and transitions of furniture, lamps, carpets, walls, curtains or clothing are woven by hand or by machine. 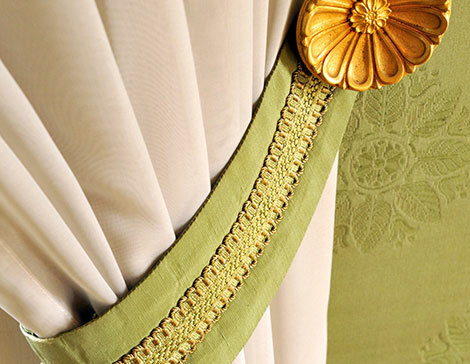 Unlike embroidered braids those manufactured by passement makers do not need extra tissue as a base. 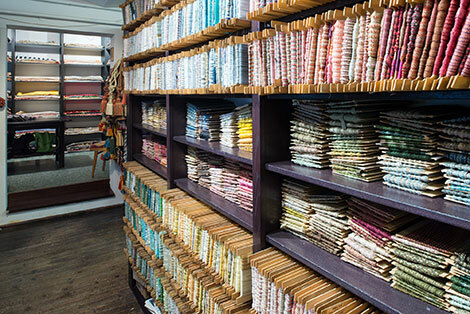 It is not only the colours and materials of the yarns from our company that can be individually chosen, but of course also the width and the weave can also be designed in accordance with your wishes. 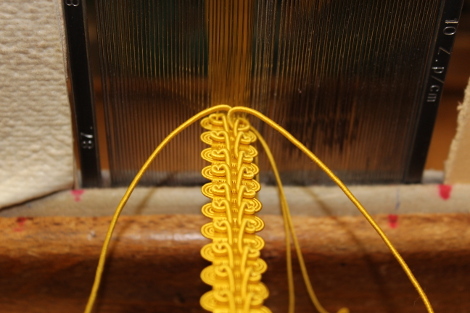 From an inconspicuous, almost invisible utility function to the tasteful, high-quality decoration of selected pieces, we can make your individual braids as required and in accordance with your ideas. 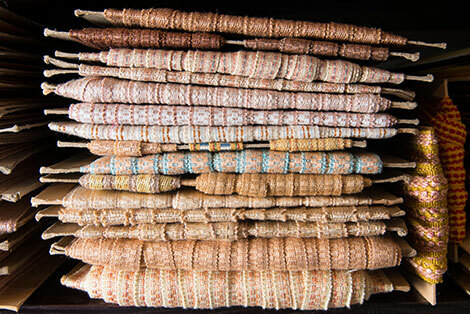 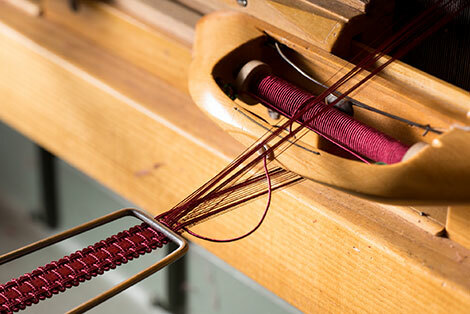 In addition to our wide range of braids, fringes or tassels can also be woven in by hand here. 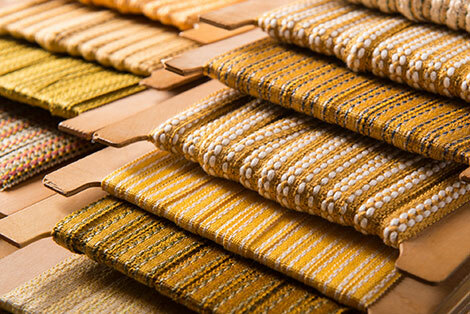 In our workshop we manufacture upholstery braids for your furniture, spun and figure braids for lampshades or as trim for clothing as well as hand-weaved braids. 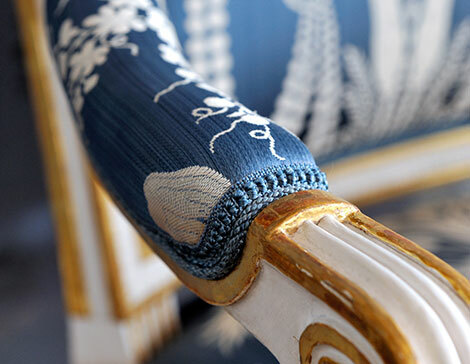 We are pleased to be able to reconstruct the braid on the bed of the Austrian Emperor Franz Josef I and Empress Elisabeth of Austria-Hungary in the Schönbrunn Palace in Vienna, for example. 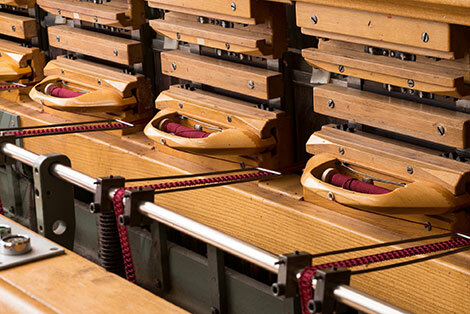 A historic loom was constructed especially for this in our work shop and put into operation.